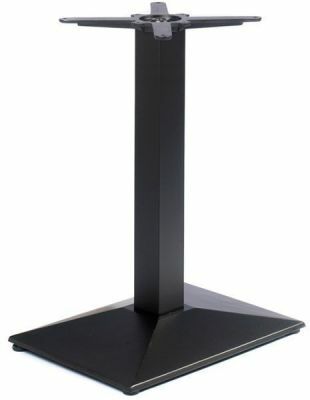 Cafe table base with a large rectangular foot, Durable Black powder coated finish. Works with table tops up to a maximum size of 1100mm x 700mm rectangular. Cast iron table base finished in black epc with a rectangular base suitable for rectangular café table tops. Held in stock for a quick delivery and suitable for commercial applications.